Jesus didn’t teach this and neither did other prophets. This teaching came after Jesus and not before, and not from Jesus. 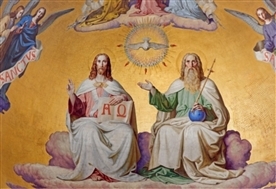 The concept of the Trinity is blasphemous. It is associating partners with God. Please read the sections ‘God describes himself’ and ‘why do you have idols?’, these should clarify things more. I was surprised to learn that a lot of Christians believe the highlighted words in the above verses (us, our) show the plurality of lords in their concept of the Trinity. They have obviously no understanding of the language. This is the Majestic language of God, another word that is frequently used is “We”. These words do not in any way signify a plurality of lords. God is always one person. The English Kings and Queens speak in the same majestic language also. 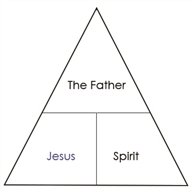 The Father, the Son (Jesus) and the Holy Spirit are supposed to make one God. 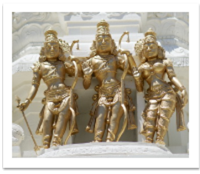 3 beings / lords make one God. 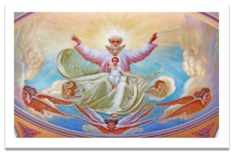 The ‘Doctrine of the Trinity’ is nothing new to religion. 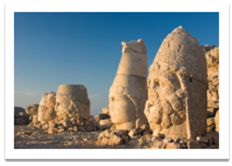 It has pagan roots and the concept has been around since ancient days. 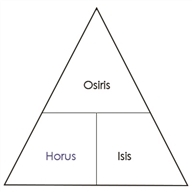 Below are listed three other trinities, there are many more. 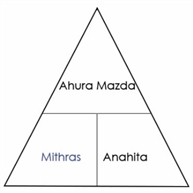 Every civilisation had its own trinity in some form. Different versions of trinities evolved from existing ones. 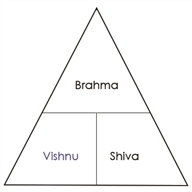 The “Godhead” which is the triangle below consists of three beings/lords which make one God.